SheRidesABeemer: How are you seeing the world these days? How are you seeing the world these days? I'm a big fan of this type of positive thinking stuff. I know one thing that is right in this world and she writes this Blog. Awesome video. Thanks for clearing the view and allowing me to see into my minds eye. What an inspiration that video is. But even more so what an inspiration you are. 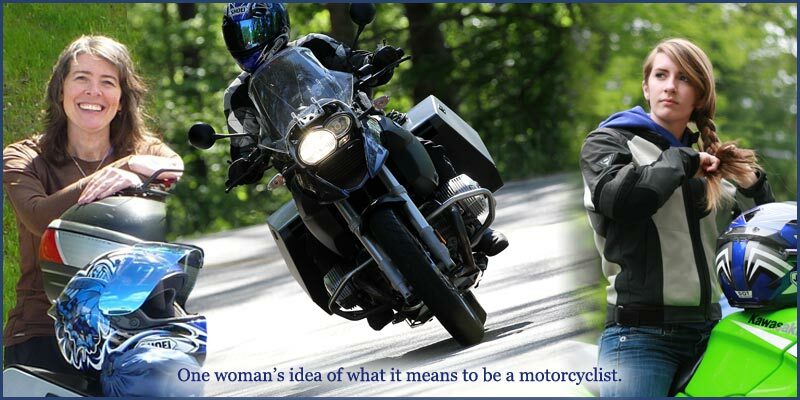 I started this blog in 2007 when my then 12-year-old daughter and I toured the country on my ’87 BMW K75. That was 10 years and many miles ago. She’s graduated college and starting her own life. I remarried, bought a house and think a lot about what the road ahead. I haven’t added anything to my blog in a while. But I leave it here for people to stumble upon. I hope the stories encourage the reader to take an adventure they might not have considered. Conformity is that jailer of freedom and the enemy of growth. Florida to Alaska on a BICYCLE!